Badet signed a reserve/future contract with the Vikings on Wednesday, Chris Tomasson of the St. Paul Pioneer Press reports. 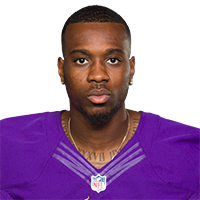 Analysis: Badet (six feet, 185 pounds) has spent time with both the Panthers and Vikings since going undrafted out of Oklahoma last spring. The wideout ran a 4.27-second 40-yard dash time at his 2018 pro day, but he's viewed as mainly a gadget player than a true downfield threat, given his smallish frame. There are no videos available for Jeff Badet. Click here to view all videos.